John McGinn admits he felt culpable for Scotland’s heaviest home defeat in 45 years as they were crushed 4-0 by Belgium at Hampden. But the Aston Villa midfielder, who gave the ball away in the build-up to the Belgians’ opening goal in last Friday’s chastening friendly loss, remains confident Scotland’s possession-based approach will pay off in tonight’s Nations League opener against Albania. John McGinn: 'Friday was the lowest I've felt in Scotland shirt'. Picture: SNS. “Myself and a couple of others made some mistakes,” reflected McGinn. “It’s difficult when a team like Belgium are closing down all the space and making it hard for you. “It’s just a learning curve –next time, I’ll maybe not take the ball in that position. But it’s the way we want to play, the way we are planning to play moving forward. “So hopefully on Monday night, when we have more possession, we can make it show. You do learn more from defeats than you do from victories. It makes you hungrier to improve and do better next time. That’s the way I’ve dealt with things throughout my whole career. “Friday night was probably the lowest I’ve felt in a Scotland jersey. It’s good we have a game on Monday night, to use that drive and hunger to improve. That’s all I want to do. 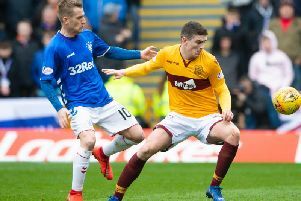 Former Hibernian hero McGinn has suffered six defeats in his ten appearances for Scotland so far and the 23-year-old accepts there is significant improvement needed if Alex McLeish’s squad are to challenge for a place in the 2020 European Championship finals. “Playing against someone like Eden Hazard was a priceless learning experience,” added McGinn. “I know because it was a friendly, you’ve got that luxury. But at the same time, we want to be competing with these teams and making it difficult for them, the way Scotland have in the past. It just shows that we all have a long way to go to be able to compete with players of that calibre. “Our group of players are trying to gel and improve but we were up against the third best team in the world on Friday night. It showed. “Overall, we need to try and take the positives from it and realise how far we’ve got to go to get anywhere near that kind of level. We can only learn from it. There were mistakes that cost us but, overall, Belgium proved how good they are. We all have professional pride. You can try and dress it up, say they are the second or third best team in the world. But at the same time you don’t want to get beaten by that margin by anyone. “So we are hurting but, at the same time, we need to try and forget about it as quickly as we can. “The way we are trying to play, with all due respect to Albania, we are going to have more of the possession against them. “But that doesn’t mean we are going to have an easy night. These games are very difficult, everyone knows that, when teams sit in and try to counter on us.